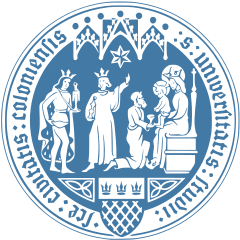 The final conference of the ISM-SPP will be held in Cologne, Germany February 13 - 17, 2017. It will take place in the lecture hall "Alte Botanik", Gyrhofstrasse 15. Many physical processes in the ISM have been studied in isolation and under idealized conditions. It is however their nonlinear coupling that fully characterizes the structure and evolution of the multi-phase, dynamically evolving ISM. Therefore, the ISM-SPP was dedicated to study the interplay between various processes in the ISM during the last six years. Recent observations (especially with Spitzer and Herschel) have revealed that the ISM is a highly structured, complex medium on nearly all scales. This first session will aim to set the stage by discussing recent observations and developments. The interstellar medium is highly turbulent on all scales. However turbulence decays on a crossing time and therefore it is yet unclear how it is sustained and how important it is dynamically. This session will aim to highlight recent work on the turbulent ISM. This session aims to discuss observational and theoretical work on large-scale structure formation in the ISM, like giant molecular clouds, within and in between spiral arms, as well as scaling relations, such as the origin of the Kennicutt-Schmidt relation and the relation of star formation rate surface density and the molecular gas surface density. Magnetic fields are ubiquitous in the interstellar medium. Observations suggest energy equipartition between the magnetic component and other forms of energy (e.g. kinetic, thermal, gravitational) and often show a distinct field morphology. In particular, a field oriented perpendicular to dense filamentary structures within molecular clouds, suggests that the magnetic field could be dynamically important and channel gas onto the filaments. This session aims to discuss the importance of magnetic fields in both observations and theoretical work. Feedback from massive stars in the form of ionizing radiation (and radiation pressure), stellar winds, and supernovae heats and stirs the ISM and might be responsible for dispersing molecular clouds, thus limiting the star formation efficiency. Thus, feedback drives the transition from the cold to the hot ISM phase. At the same time, gas is swept up by feedback, and new molecular cloud and star formation might be triggered, e.g. in colliding supernova shells. This session aims to discuss the impact of the different feedback processes on the ISM structure and phase distribution. Chemistry is the key to understand observations. Recently ALMA has revealed a densely populated forest of molecular lines, which have to be understood by combining laboratory astrophysics, state-of-the-art modeling techniques, and the latest data. This session aims to discuss the different steps involved in understanding the chemistry behind the key emission and absorption lines of the different ISM phases, from the hot gas which emits in X-rays to the cold gas which lights up at sub-mm and radio wavelengths. Interstellar dust is a catalyst for chemical processes and an important coolant of the ISM. Nevertheless, we know little about the gas-to-dust variations in the ISM and the distribution of different dust species. This session aims to address the latest efforts on observing, modeling and measuring interstellar dust. This session aims to understand the impact of environment on the ISM phases and structure in both observations and theoretical work. Does the ISM evolution depend on the galactic environment? Observations seem to suggest environmental dependencies, but theoretically these are not well understood. Which parameters are most important? The large-scale structure of the galaxy? The mid-plane pressure? The overall star formation rate? This final session will connect the local and (super-)galactic scales and thus, place our understanding of the ISM evolution in the galactic context. NEW: The program of the conference is now online! All the talks held at the conference can be found here. They are listed in chronological order by the talker's name according to the programm sheet. Due to the large number of registered participants, we can only accept new registrations under reserve. The conference fee for early registration is 50.00 Euros for students and 100.00 Euros for post-docs and senior scientists. The early registration fee has to be paid until the end of 2016. If you register after November 22nd or if you want to pay later, then the registration fee is 100.00 Euros for students and 150.00 Euros for post-docs and senior scientists. 2.00 Euros administration fee will be added to the price. You can register by following the link below. Participants will receive an email containing the details about the payment. The conference will take place in the lecture hall "Alte Botanik" in Gyrhofstrasse 15, 50931 Cologne. On Sunday evening, February 12th 2017, there will be a welcome reception in the seminar building 1 in Weyertal 119a, next to the RRZK (Regionales Rechenzentrum Köln). We have reserved a contingent of rooms in three different hotels for the participants of the conference. The keyword for using the contingent is "ISM 2017". By mentioning the keyword while booking your room, you can access the contingent. One can reserve rooms from this contingent up to January 1th 2017. In all prices breakfast is included. On Wednesday February 15th, we have planned two separate tours for excursion. 1. A guided tour to the Cologne Cathedral and its treasury. 2. A guided tour to the 100m radio telescope Effelsberg.